The cosmopolitan district of Prenzlauer Berg welcomes visitors and tourists from all over the world. Shopping streets and historical places as well as bars and cafes are beckoning. Where to find the most beautiful places in Prenzlauer Berg that you shouldn’t miss? A guide for visitors and locals. ARCHITECTURE. In Prenzlauer Berg you will find the largest residential area from the end of the 19th century, the famous „Gründerzeit“ (founder’s period). Here, the faces of the buildings feature the characteristic stucco elements, high entrances and peaceful backyards. The area around Winsstraße and Hufelandstraße as well as near Teutoburger Platz are offer some of the most beautiful examples. At Ernst-Thälmann-Park you can enjoy a different architectural style: The buildings of precast concrete slabs are now under protection of national heritage. Constructed in the end of the 80s this is one example of a panel buildings. 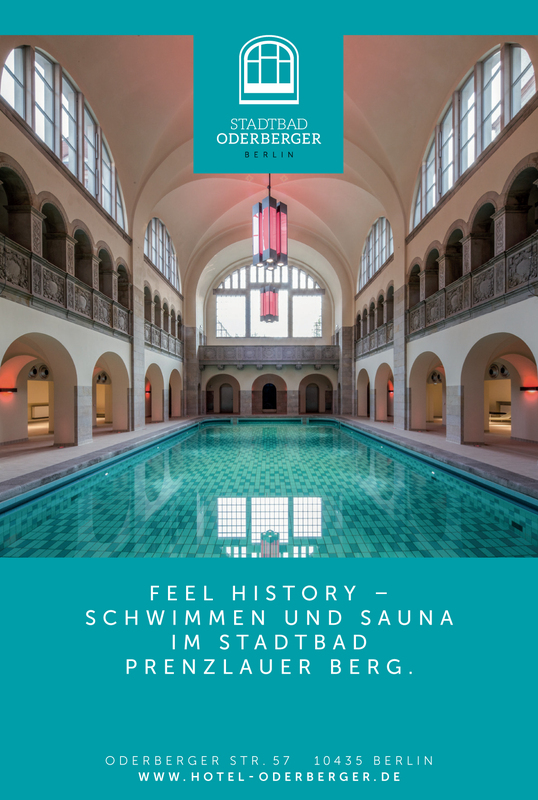 We also recommend the historical swimming pool in Oderberger Straße which was built in 1902. HIGHLIGHT. 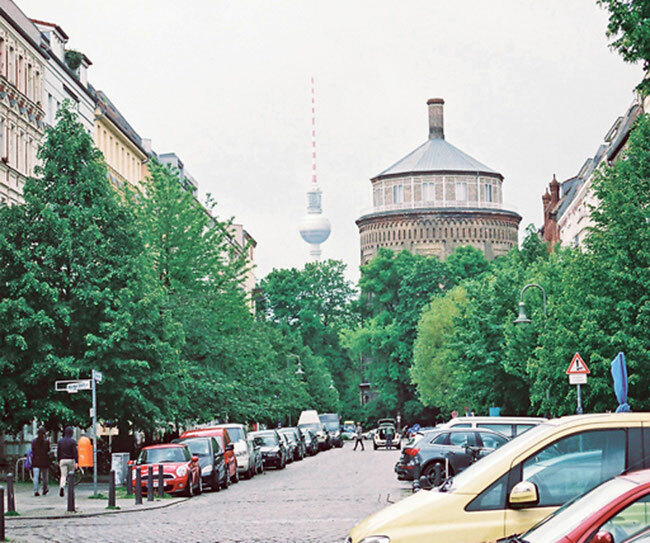 No tour should miss Kollwitzplatz with its landmark of Prenzlauer Berg, the water tower. It was built in 1875. The surrounding area now houses art projects and appartments and is one of the liveliest and most beautiful in the district. HISTORY. Catch a glimpse of Jewish life in the synagogue in Rykestraße. The Gethsemane Church in Stargarder Straße was one of the sites of the famous peaceful demonstrations in the autumn of 1989. The history of the German division and reunification can be experienced on Bernauer Straße and in Mauerpark: walks, info panels and auditorial witness reports tell the story. CHILDREN. Prenzlauer Berg offers parents travelling with children a rich infrastructure: cafes especially for families, a variety of playgrounds, movie theatres for kids, multilingual nannies – the list goes on and on. CULTURE. The vast location of Kulturbrauerei houses many rooms for such diverse attractions as clubs, cinemas, theatres and museums. At Pfefferberg you’ll laugh through an evening of comedy, Ballhaus Ost and Theater unter‘m Dach offer off-theatre. Find an interesting independent cinema at Lichtblick on Kastanienallee. And if you love having your breakfast while watching a flic have your favorite morning meal at Filmcafe on Helmholtzplatz. PEOPLE WATCHING. Wander through the most buzzing area of the district around Kollwitzplatz. Restaurants and bars of different styles and tastes are also available at Helmholtzplatz. Immerse in everyday life on Kollwitzplatz: On Thursdays and Saturdays people crowd the streets to shop fresh, ecologically sourced food on the market. Arnswalder Platz and Teutoburger Platz feature typical Prenzlauer Berg lifestyle as well. 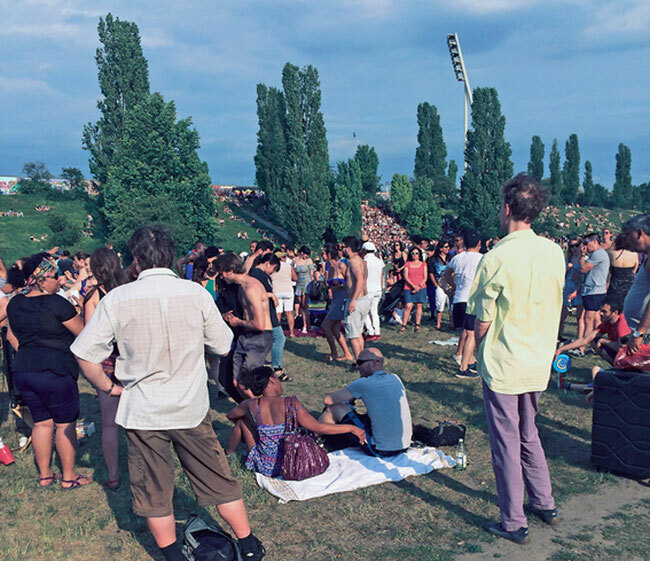 Platz an der Marie is for the young and dynamic and on Sunday afternoons Mauerpark bursts at the seams with it’s huge flea market, live music and artists. SHOPPING. Flag stores, boutiques for just about any kind of accessories and endless inspirations for gifts: Stroll along Kastanienallee, Stargarder Straße and through the neighbourhoods at Kollwitzplatz and Bötzowviertel. Keep your eyed peeled for small, hard-to-find-shops which feature antiques. Enjoy food specialities from every corner of the world, handmade artwork and countless inspiring offers around Kulturbrauerei, the Wasserturm and Arnswalder Platz. Different shops open all the time. No matter how often you visit Berlin in the future: This area of Prenzlauer Berg will never disappoint you as an opportunity for exploring, finding new things and taking inspiring walks. BEER GARDENS. The most beautiful beer garden is the Prater which also happens to be the oldest in Berlin. Take a seat high above Schönhauser Allee in the Pfefferberg beer garden. A hidden gem waits to be discovered at the film theater Friedrichshain which offers relaxing refreshments not only for cinema guests. LANGUAGE. 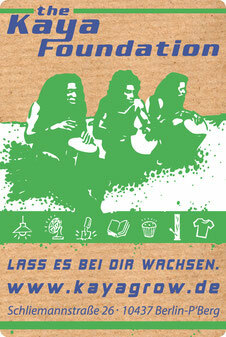 The typical dialect („Berlinerisch“) is now almost extinct in Prenzlauer Berg. Now, the neighborhood is home for people from all over the world. 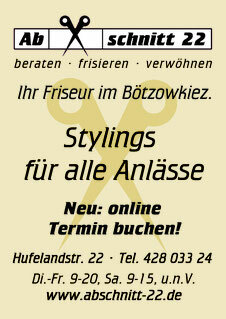 In addition to standard German you will find it easy to communicate in either English, French, Spanish or Italian. 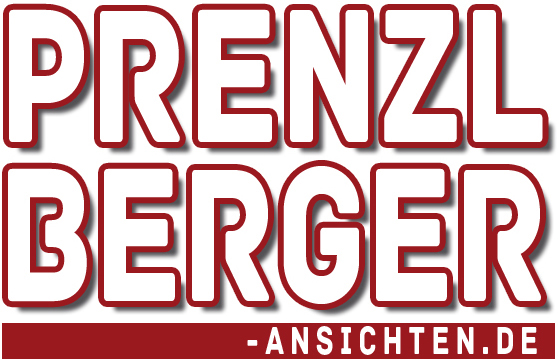 Prenzlauer Berg is an international, dynamic urban district of 10.9 square kilometers with about 160,000 inhabitants. It is organized in 15 quarters (in Berlin, these quarters are called „Kiez“), the most famous being Kollwitz-Kiez, Helmholtz-Kiez and Bötzow-Kiez. As Prenzlauer Berg is home for numerous celebrities you might run into known politicians, actors, artists and other famous people during your stay.